Let’s face facts – most existing master bathrooms do not fit the needs or desired aesthetic qualities for relaxation and comfort desired by their owners (OK – in plain English there just too doggone small and too doggone ugly). 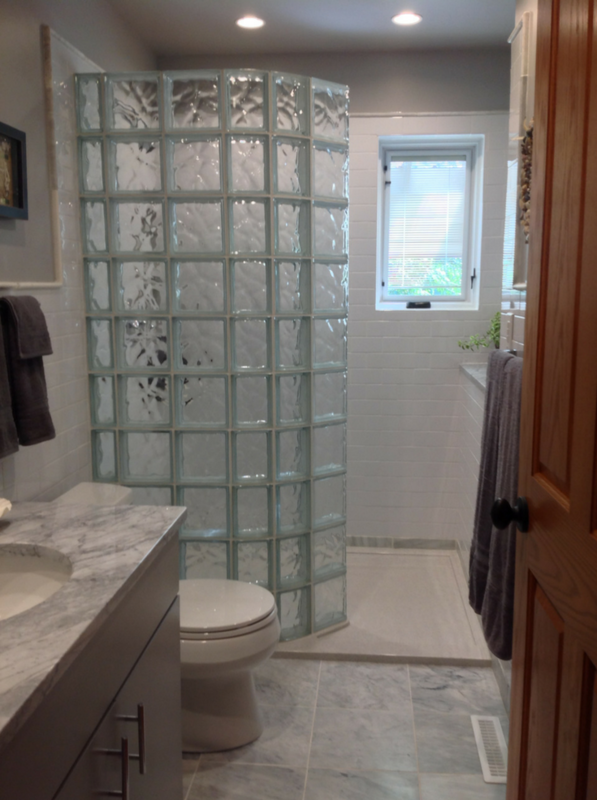 In many ranch and cape cod style homes built in the 1960’s and 1970’s the combined tub/shower unit in these small 5’ x 7’ bathrooms are difficult and dangerous to get into (and the ugly curtains or framed sliding glass doors don’t add to the ambience either!). Even many of the larger bathrooms built in the “McMansions” of the 1990’s and 2000’s allocated space incorrectly with a monster sized soaking/Jacuzzi tub (which is seldom used) along with a small phone booth sized stand up shower (which is cramped – but used every day). 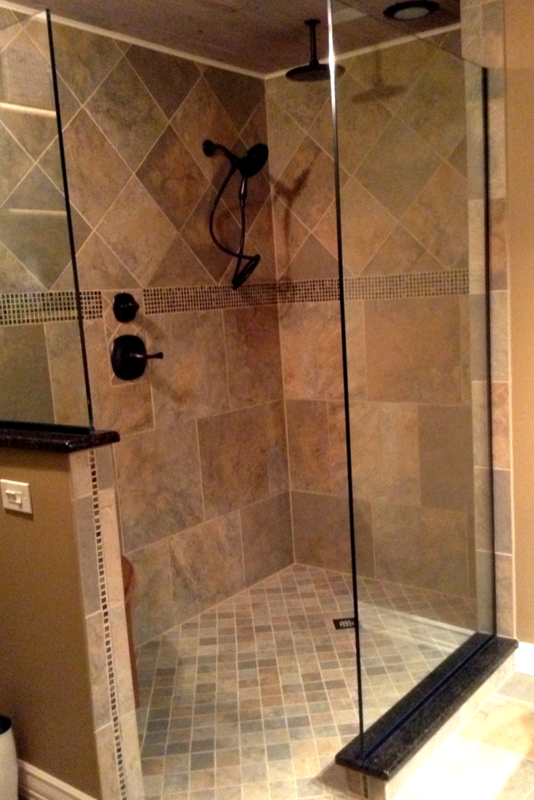 According to a recent study by the inspirational housing site Houzz.com 66% of owners want larger showers. While this is a nice concept how can you turn this dream into reality for your home? 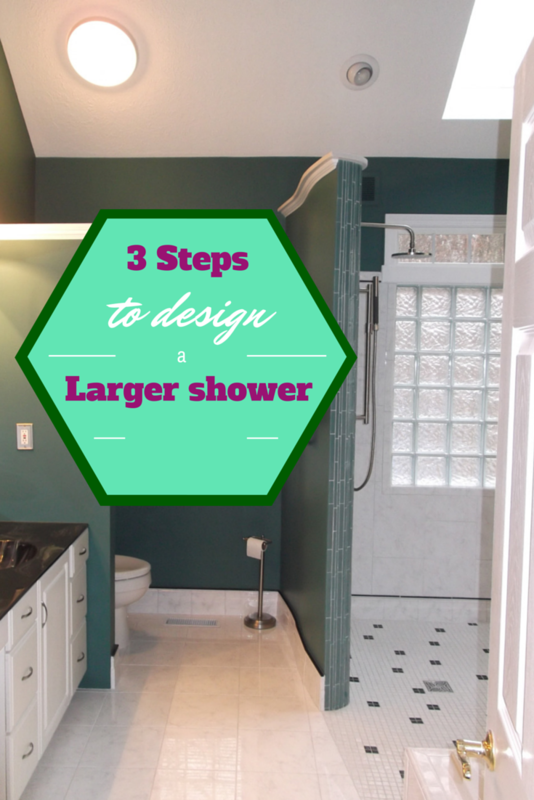 The article below provides 3 steps to make a larger shower without increasing the size of the bathroom. 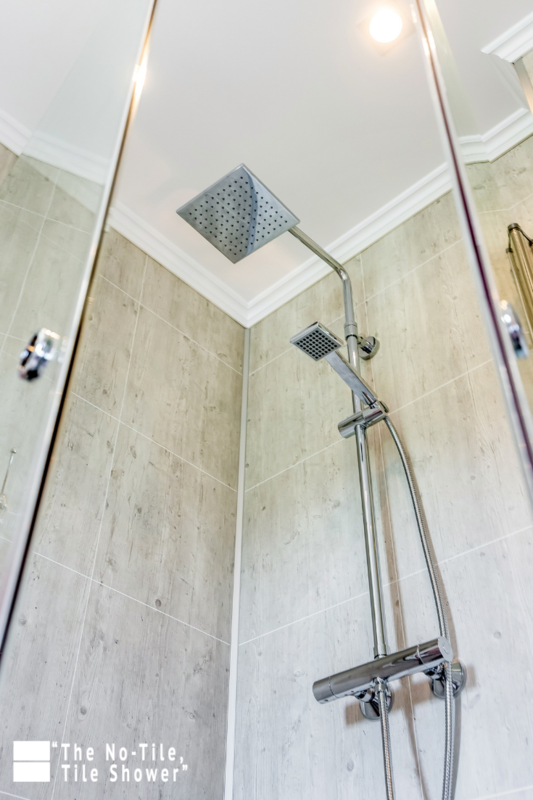 Since it isn’t practical for most owners to increase the overall size of their bathroom (due to costs and the need to take space from adjoining rooms) the question becomes how can you create space for a larger, more relaxing and functional shower? Eliminate soaking/jetted tubs – These dusty, unused tubs are the #1 place owners can (and do) borrow space for larger showers. The other reason large corner tubs are removed is they can a complete nightmare to step into and out of (who exactly was designing these monstrosities anyway?). Convert a standard 60” wide tub into a shower – Since very few people bathe today making a 60” wide shower where the tub used to be can create a more open feeling and is safe to enter into vs. climbing over the tub to take a shower. 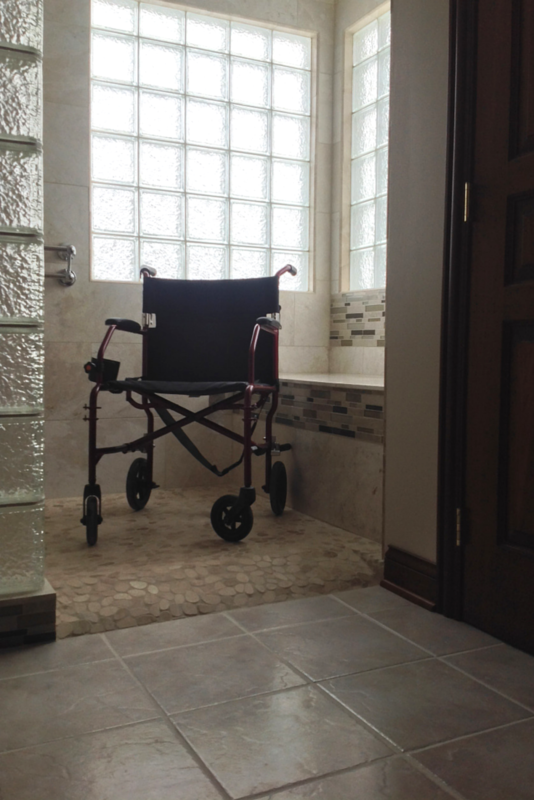 Make a one level wet room – Getting rid of a separate shower enclosure with a curb and making a lipless shower area can create a sleek look, improve safety for any family member with mobility challenges. In addition, it’s a more efficient use of space. Improve lighting – Adding a skylight, light tube or glass block window can make the bathroom feel larger – which can be especially helpful if your bathroom lacks a window today. In addition using these strategies will still allow you the privacy you design. Reallocating space from closets or countertops – Another strategy to gain space can include eliminating a closet and/or reducing the size of a vanity top to ‘find’ your space for the larger shower. 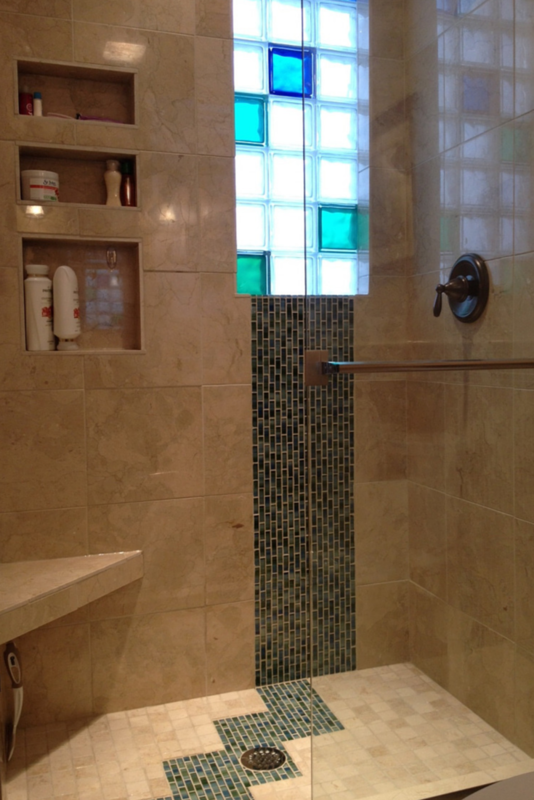 Glass wall panels – The advantage of glass wall enclosures is they can be cut to size and designed to go all the way to the ceiling for a steam shower while also providing a clear open feeling while showering. Their primary drawback – cleaning. 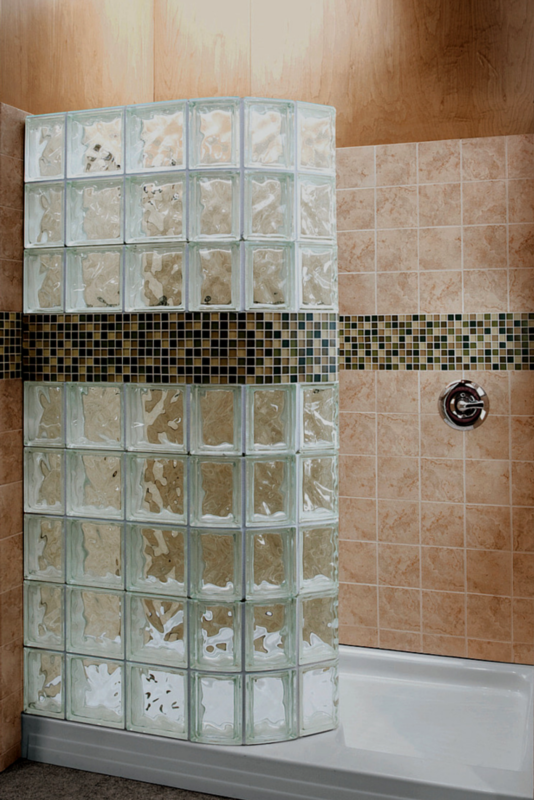 Glass blocks – Glass block shower walls are easy to clean, cost-effective to curve for a small tub to shower conversion project and provide a high degree of privacy when using an obscure pattern. Another advantage is the no shower door to clean. 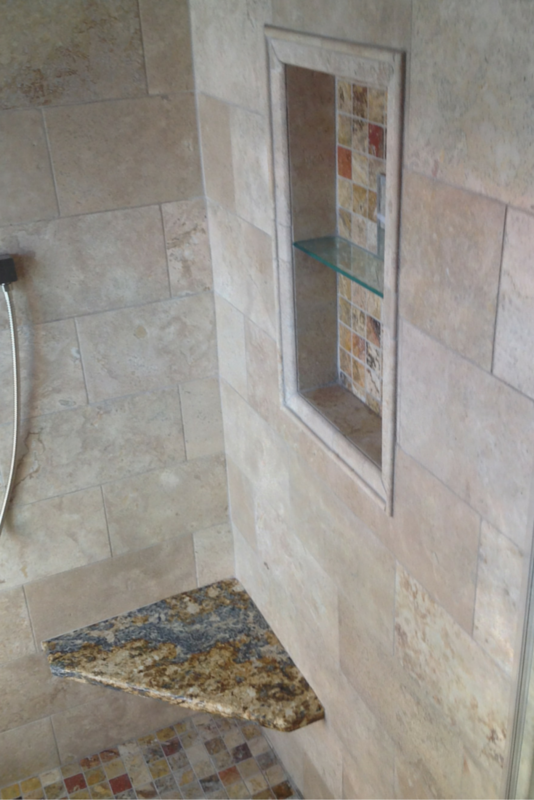 Stud walls covered in tile, stone or grout free shower panels – Making stud walls can be easy to do and will create a consistent look for all of the interior shower wall surrounds. The drawback of stud walls is they reduce natural light. 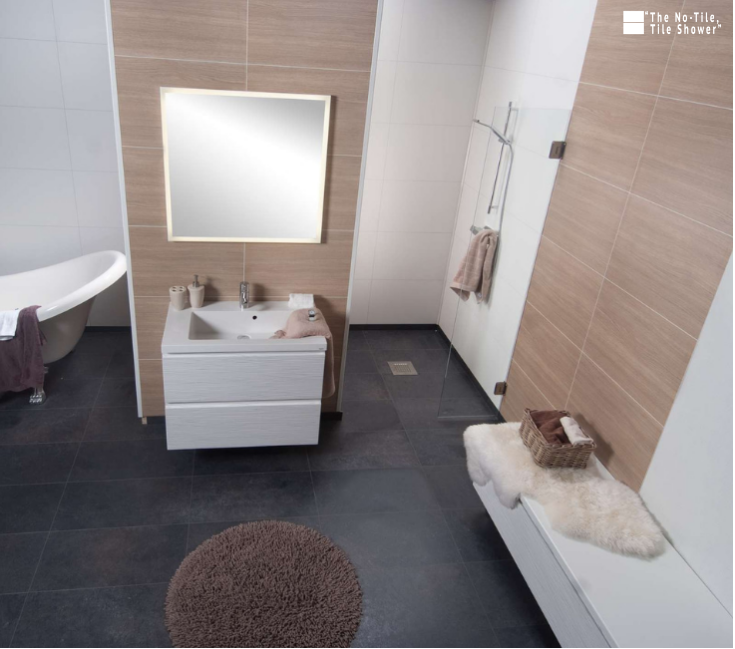 No enclosure Euro design – Since space is at a premium in Europe many showers are at the same level as the rest of the bathroom to provide a more efficient use of space– creating what is called a one level wet room. If you even want to make the space lower maintenance you can add these laminated wall panels. They look exactly like tile – but there are ZERO actual grout joints you need to clean. Step 3 – What you can do inside your shower to have it feel larger – and be more fun! Let it rain …and spray – OK showers are really still about the water – but new exciting showers today are about more than just the stationary shower head inserted into a plumbing wall. They are now also about “rain” (as in rain shower heads) and “spray” (as in body sprays). It’s these new water delivery products which can turn an ordinary shower into an extraordinary one. Seating – It’s hard to relax in your shower without a place to sit down! 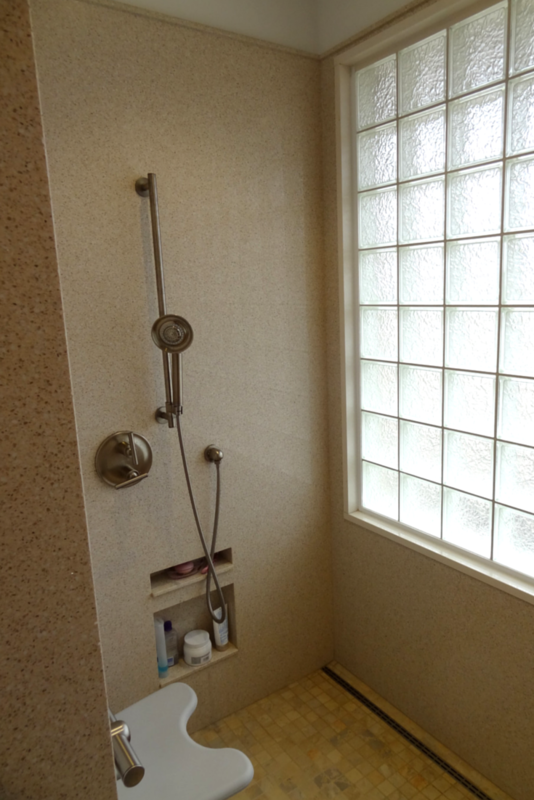 For a more modest sized shower (for example a 60” x 34” space) consider using either a corner or fold down seat. For a larger 2 person shower a long bench seat can be a great place to relax after a long day. Strategic storage – Keep your shower uncluttered and safe with niches recessed into the wall for soap and shampoo storage. Think through where your storage is located so all members of your family – from grandchildren to grandparents – can reach them (note: for a universal or accessible design niches are generally lowered so a shorter person or someone in a wheelchair has access to them). Natural design materials – Natural looking materials are hot in shower designs today – from hexagonal shapes and wood-look tiles to even a new line of grout free shower wall panels with natural stone, cement and farmhouse wood patterns. The options are more exciting than ever. 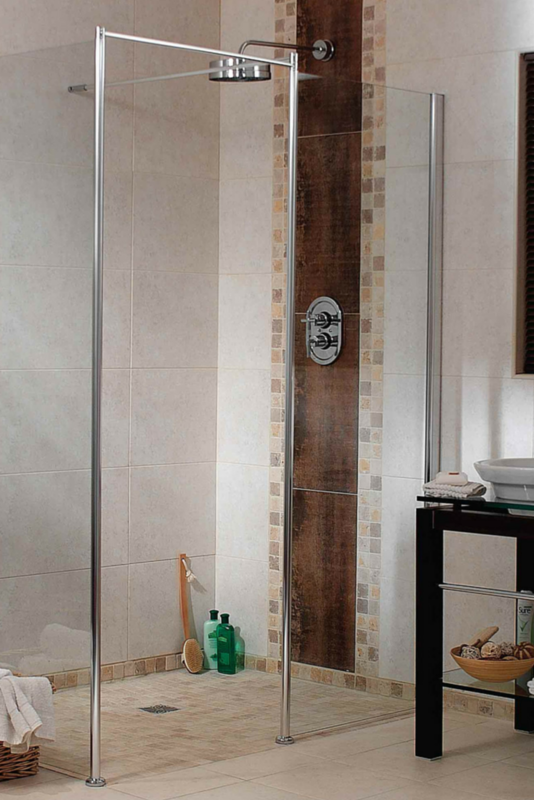 What questions or ideas would you like to add about larger showers? Please comment or call one of the numbers below for additional insights or a free estimate. If you’re looking for more information or an estimate on remodeling a shower or nationwide material supply for the various grout free wall panels and shower bases mentioned above call Innovate Building Solutions (877-668-5888) for nationwide supply or The Bath Doctor in Cleveland (216-531-6085), Columbus (614-252-7294) for regional supply or installation.